Ever thought of waking up to a cup of hot cappuccino just like you would get at your favourite cafe? 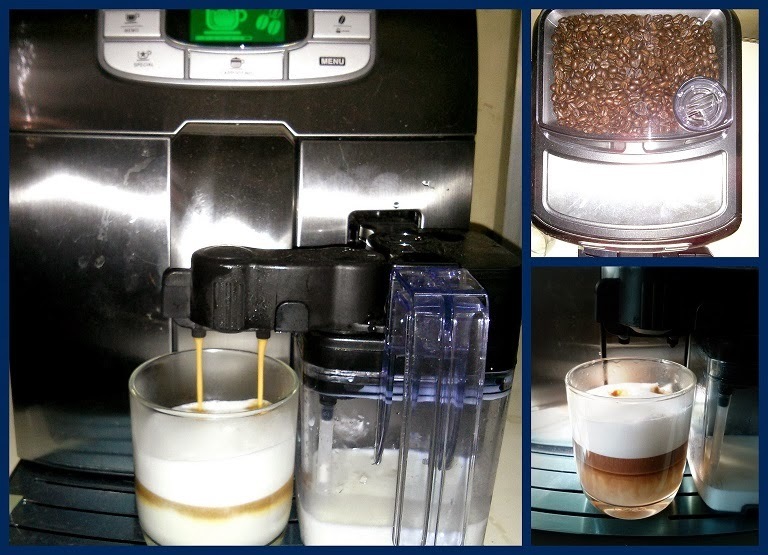 With the Philips Saeco Espresso Machine, you can make that possible. Philips has launched this new coffee machines for residential use, targeting the business class. With this machine, you can manually select options and make yourself an Espresso, Mocha, Macchiato and the likes, but the automatic function only lets you make a Cappuccino. What we like: The Cappuccino tasted as good as it could get. The Espresso was also quite impressive. You could select how strong you want your coffee to be. Also, it's quick and takes less than a minute to get one cup of coffee. What we dislike: The machine is not very user friendly and can get quite complicated if you're tech-challenged. In a day, the machine can serve upto 50 cups of coffee, hence it is not recommended for commercial use. The coffee servings are not quite consistent, the first cup might look and taste quite different from the second cup. The internal cleansing process of the machine is tedious and unavoidable. Our take: For a cost as high as Rs.75,000, we hope that the machine would be easier to use and less complicated. Although, if you love your morning coffee and don't mind spending a few extra bucks on it, then this one is for you!